Dodford Manor is a, 'beautiful exclusive use barn wedding venue nestled amonst rolling Northamptonshire countryside. 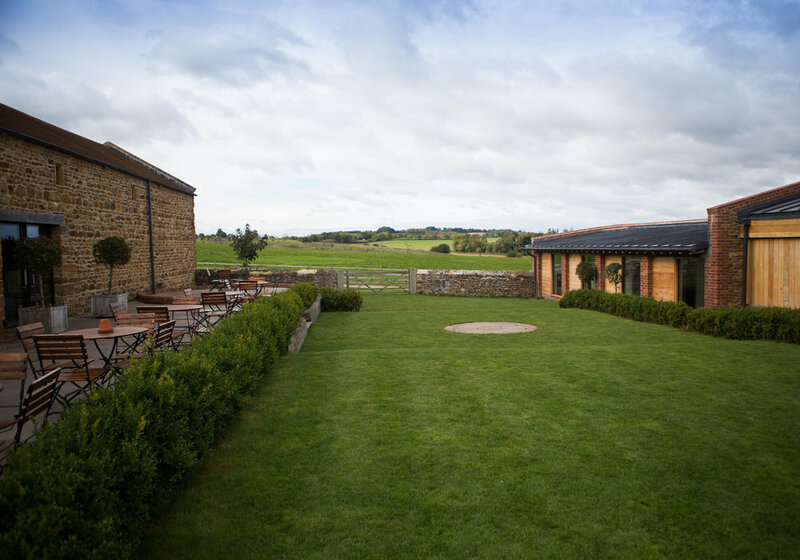 It offers a stunning collection of lovingly restored 17th century stone and contemporary oak barns with spectacular rural views.' The owners Simon and Annabelle really are the most lovely of people and are dedicated to making your day truly memorable from start to finish. They have a fabulous events team under them who all work extremely hard, discreetly liaising with all your suppliers to ensure your day runs smoothly. Dodford Manor work hand in hand with Jenkinsons, who pride themselves on, 'catering superbly for every occasion'. They also say that, 'working with only the best quality ingredients, using local suppliers and seasonal produce where possible to create impressive and irresistible menus at outstanding value, Jenkinsons are dedicated to ensure you choose the menu that suits your theme, personality and of course budget.' We've had a fair few meals provided by Jenkinsons over the years (!) and can certainly vouch for their beautifully cooked and presented food!